Few things are as comforting as a bowl of soup on a cold day. Add to the fact that soup is an old family recipe passed down for who knows how long, and it becomes the perfect recipe for comfort. When I spent a week looking through my ancestry, one of the things that stuck out was that while we may not have preserved language or some other customs, family recipes were one of those things that survived in some form or fashion. As I looked through old letters and calendars I came across a recipe I remember my grandmother making and subsequently my mother trying a few times: Groesknettlke soup. There are often things you wish you knew more about with your heritage but can no longer ask. I wanted to know more about the origin of the soup but Google surprisingly yielded nothing, so I enlisted my German friend, Vicky, to try to figure it out. The recipe came from my great grandmother who lived in a German enclave of the Austro-Hungarian empire and then later immigrated to the US, settling in Pennsylvania. Vicky explained the spelling is very typical of how the “mountain Germans” write with the “lke” on the end. The soup means “big dumpling” soup (Gross Knudle). I supposed I could have gathered that but it’s still good to know for sure. 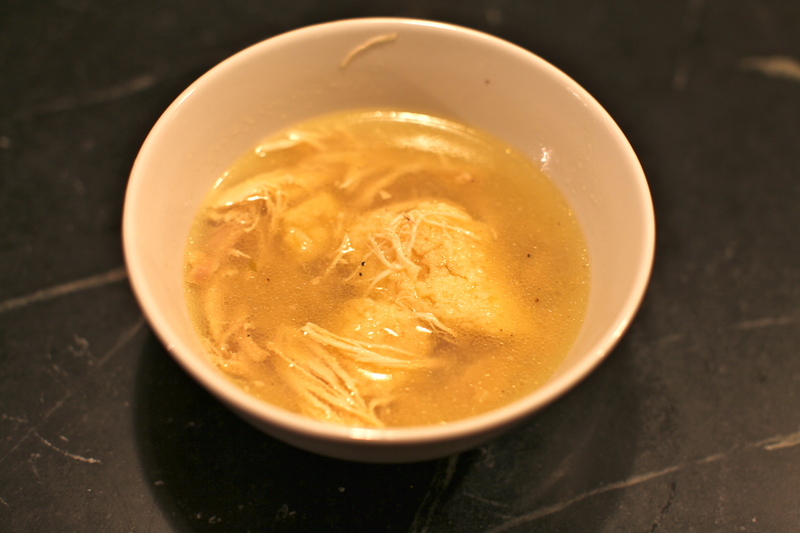 It is in fact a big dumpling soup, similar to matzo ball soup. 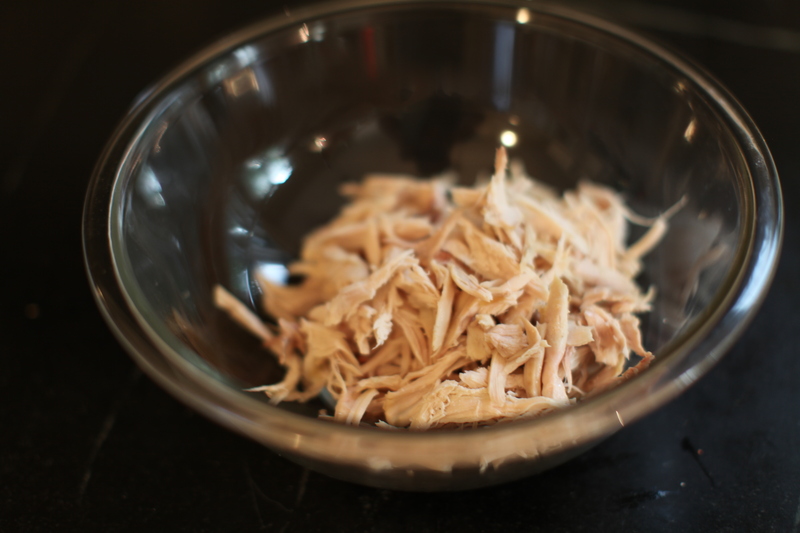 Bring chicken and broth to a boil and then simmer over a couple of hours until meat starts to fall from the bone. 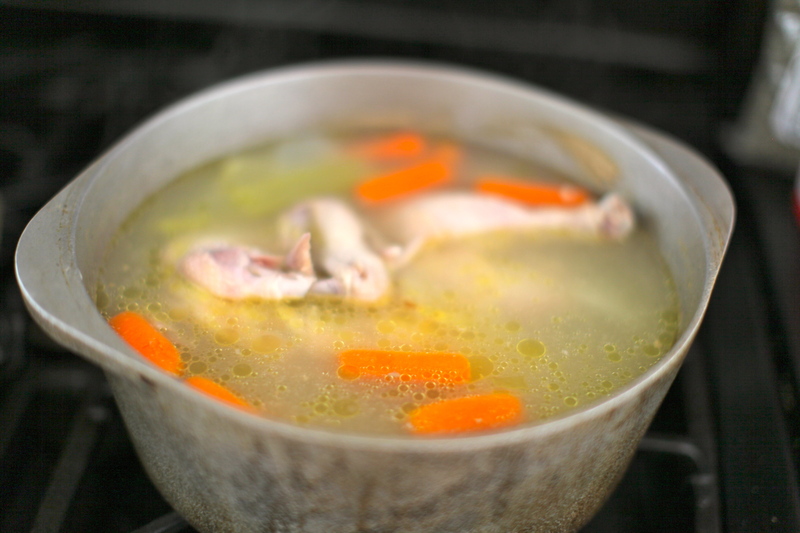 Strain the chicken and veggies from the broth and return the broth to the pot on low to stay warm. Keep lid on to prevent liquid from reducing too much. Pull apart the chicken to return to the soup at the end. Pour some liquid over it to prevent it from drying out. First cream the shortening and add 1/2 farina. Mix a little bit. Add the eggs and stir until blended (don’t overmix). 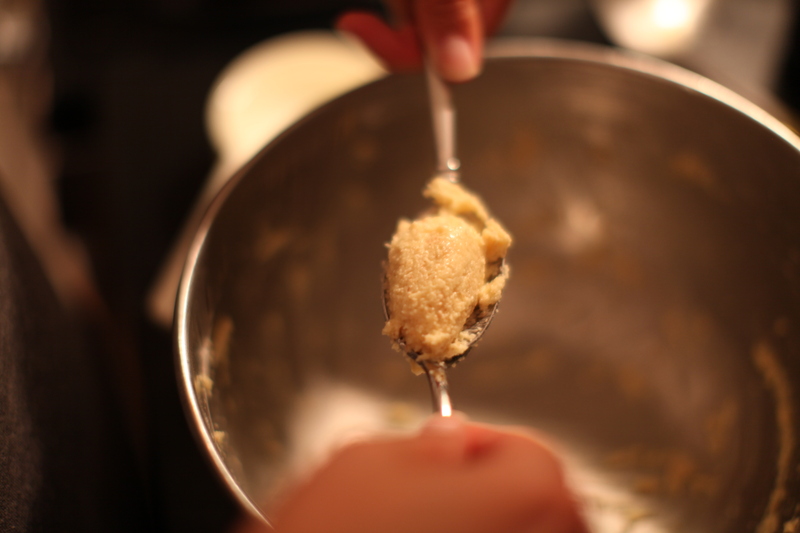 Add the remainder of the farina until you have a good consistency. I of course didn’t know what “good consistency” meant since it was my first time. 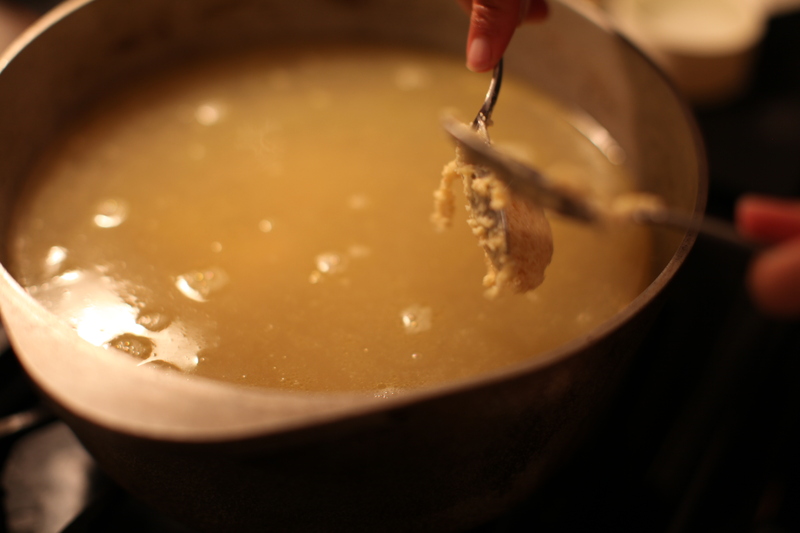 Ladle some broth into a bowl and take a small spoonful of the mixture and drop it in. If it starts to disintegrate, you need to add more farina. I ended up having to add a bit more. I think it’s ok if it disintegrates a little bit but you want it to hold its shape overall. Let the mixture stand for 5 min. Drop by teaspoon into the broth that is warm but not boiling. I formed them into quenelles with two spoons to give them a bit more of a dumpling shape. My grandmother (who was very superstitious) adds a note here NOT to count the dumplings as you drop them in as it is bad luck. Let the soup come to a boil and then add 1/2 cup cold water. Boil at medium heat until the dumplings are done and soft inside (about 10 min on medium boil). The funny thing about old family recipes is that they weren’t trying to publish cookbooks. The recipes assume you already know what things should taste like. Measurements weren’t really exact. I didn’t know what “done” meant for the dumplings and ended up serving them to my friends a little underdone on Friday night, chalking it up to my first attempt. When my husband got home later, they were perfect. They just needed a little more time. The dumplings should just about double in size and should hold their shape but be the same soft consistency the whole way through (like matzo ball soup). The only way to tell is to try one. Another note from my grandmother reassures me that even her mother made hard dumplings once in awhile. Overall it is a delicious soup and easy to make. I’m going to make it my mission to make my great grandmother proud and keep this recipe in my family. You are currently reading Ancestral comfort at 52 To Do.